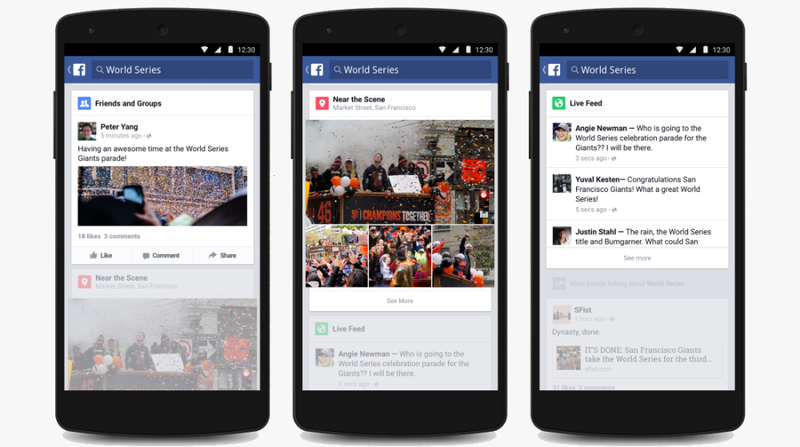 Facebook is rolling out an update to Android devices, one which brings a new Trending section to the application. If you had not already noticed, a big Trending section is placed on the right side of the Facebook homepage, and now, it’s on your phone. This section is usually filled with the world’s “top stories,” including trending celebrity news, sports news, Obama stuff, and more. Inside each topic, stories from across the web are aggregated for your reading, just to make sure you get multiple viewpoints on the same story. Below, Facebook lists out what you can do with the new section for Trending topics. Surprisingly, this feature is so far only available for Android devices. iOS support is coming later, so sayeth the Zucks.